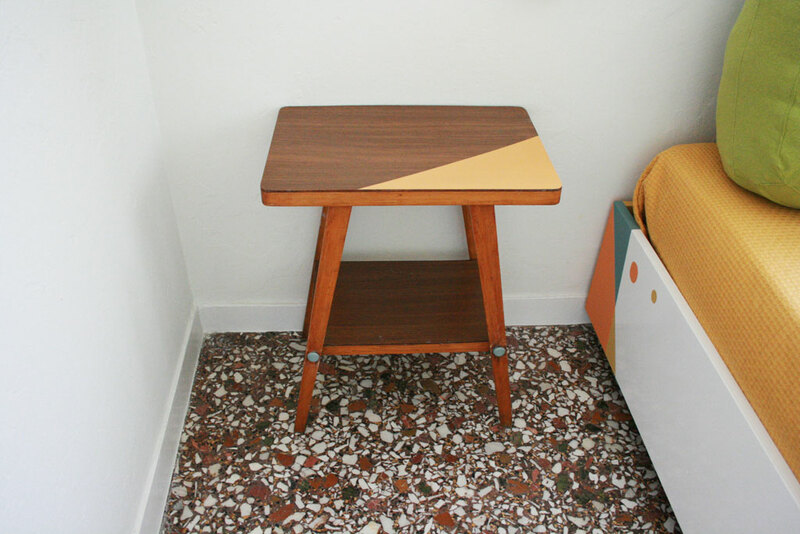 scope: Furniture design and manufacture of an old sidetable in Mid-Century Modern style with geometric patterns. construction: ReBorn of an old sidetable with chalk paints. 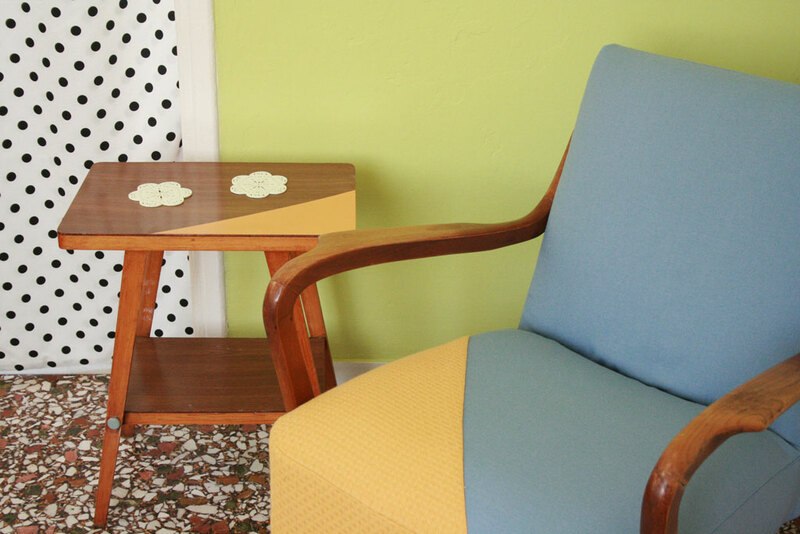 Design inspired by the Mid-Century abstract geometrical lines. materials: Old wooden sidetable, water based chalk paints, wax varnish.